Best Western Plus Bellingham Airport Hotel is offering a $99 rate for Linuxfest attendees with shuttle service to BTC. You just need to say LINUX as the code when they make your reservations. I know you like the three but I think we should add it to the website. The Heliotrope Hotel hosts seven different room layouts, offering choice in your experience. Every room features a Queen Bed, Mini-fridge, 32 inch HDTV, High speed WiFi, custom cabinetry from Smith & Vallee Woodworks and original artwork from local artists. A complimentary parking spot on property is included with every room, and all guests have access to The Yard and The Hub - featuring a fireplace, lounge, and coffee bar. Bring your family, pets, bikes, skis, and readiness to connect! Feel free to take a look at our options on our website and see what might fit you best -- heliotropehotel.com/rooms. Reserve your room by March 26, 2019 using the Code: "LFNW19" to access the discounted group rate for arrival on April 26, 2019 to departure on April 28, 2019. Should you want to extend your stay, we would love to host you and are happy to provide the group rate for your entire stay. Simply reach out to our team directly and we would be happy to assist with extending your reservation. We look forward to hosting you at Heliotrope Hotel for LinuxFest Northwest 2019! Welcome to the area’s newest full-service hotel, the Holiday Inn & Suites Bellingham. Guests flying to or from Bellingham International Airport have access to our park and fly options and airport shuttle. Not just an airport hotel, we are 3 miles away from the Guide Meridian near Whatcom Community College and Cordata station. Serving Whatcom County, guests can also discover the Mount Baker Theater, Mt. Baker Ski Area and the Fairhaven Historic District. During your stay, enjoy our luxurious suites, on-site fitness center featuring the latest in exercise equipment, or relax in our steam room or sauna and finish with a dip in our refreshing indoor saline pool. Come experience all that the Holiday Inn and Suites-Bellingham has to offer! Mention group code "LFN" for our discounted group rate. The Home2 Suites is Bellingham’s only Hilton Hotel offering free Wi-Fi and breakfast. Please click on the link below to book your room or call us at 360-734-3111 and ask for the “LF5” code. Elastic is a search company. As the creators of the Elastic Stack (Elasticsearch, Kibana, Beats, and Logstash), Elastic builds self-managed and SaaS offerings that make data usable in real time and at scale for search, logging, security, and analytics use cases. Thousands of organizations worldwide, including Cisco, eBay, Goldman Sachs, Microsoft, The Mayo Clinic, NASA, The New York Times, Wikipedia, and Verizon, use Elastic to power mission-critical systems. Founded in 2012, Elastic is a distributed company with Elasticians working in countries around the world. The Crafty Penguins team of Linux engineers works with software development teams to automate their processes and infrastructure, so they can achieve the ultimate outcome: an efficient, stable, and reactive development-to-production workflow. Linux Academy is the leading multicloud training platform that redefines continuous learning for IT professionals. Interactive, hands-on tools help learners of every level apply and retain today's most sought after knowledge. New skills and certifications in Linux, AWS, Google Cloud, Azure, DevOps, and Containers power business and career opportunities across the globe. Thousands of organizations like Mailchimp, Rackspace, and Media Temple trust Linux Academy as with their ongoing IT education. Founded in 1975, Microsoft is a software company based in Redmond, Washington. Creators of Clippy, the helpful paper clip. These days they're doing a lot more than Windows OS. Powerful, custom Linux computers to empower science, technology, and engineering professionals to go further and unleash their potential. The Technology Alliance Group (TAG) was founded in Bellingham as a 501(c)6 non-profit organization in 1999 to advocate for technology and foster innovation in NW Washington. TAG's mission is to engage, inspire and support industry, businesses, professionals and students in our community. The name "Vivio" is derived from the word "Vitality", which can be defined as "The capacity to live, grow, or develop". At Vivio, we realize that "hosting" is a mutually-beneficial relationship: when you succeed, so do we. When you work with Vivio, our focus is to help you succeed. Providing amazing support and offering valuable services at competitive rates are just some of the results of our philosophy. Experience the difference of working with a hosting provider that is dedicated to helping you succeed. Candela Technologies provides test equipment to aid in the testing of network equipment and applications. Use LANforge WiFiRE for WiFi testing, LANforge FIRE for traffic generation and LANforge ICE for WAN emulation. We are support focused and help craft scenario-specific scripted and automated testing. Polyverse Corporation is the leading cybersecurity company using Moving Target Defense (MTD) technology to defend global enterprises and governments against the most devastating zero-day cyberattacks. The Polyverse polymorphic version of Linux is the only MTD product proven in a recent U.S. Department of Defense study to stop 100 percent of zero-day memory exploits from buffer overflow bugs and the like. Polyverse eliminates the need for costly and disruptive panic patching through its constant scrambling of binary code throughout the entire programming stack. Polyverse’s turnkey solution installs in minutes and works with existing systems without changing performance or IT processes. Polyverse is trusted by global enterprise and government, including PlayNetwork, Plex, Mitre, U.S. Navy, U.S. Special Operations Command and many others. Founded in 2015, Polyverse is led by founder and CEO Alex Gounares. Visit https://polyverse.io, read our blog and follow us on Twitter @Polyverse_io. See homes for sale first on Redfin, the most popular brokerage website in the U.S. When you buy or sell with us, the technology goes further: to promote your home to more buyers, to recommend listings you missed, to schedule tours on the spot, to close without a hitch. At ThinkPenguin we have one goal: Make the adoption of free software easy. Unfortunately in the past GNU/Linux has gotten a bad rap as being difficult to use and lacking support. Fortunately thats the past and now there is a readily available catalog of free software friendly hardware and support available from one source: ThinkPenguin. We have wide range of hardware from laptops, desktops, and printers to fun accessories such as portable audio players. Our products are freedom-compatible: Meaning they will work with just about any free software operating system. Free software is a set of principles that ensure end-users retain full control over their computer. Free software can be used, studied, and modified without restriction. The chipsets we use encourage community development and user participation. Users can not be locked into a vendor or product, be forced into an expensive upgrade, or have other digital restrictions placed on them. Proven in mission-critical applications, with APIs in multiple languages, YottaDB is a mature, scalable, 100% free / open source NoSQL database engine with strong ACID semantics whose code base currently runs some of the world's largest real-time core-banking systems and a nation-scale electronic health record system. Parsimonious of computing resources, YottaDB fits in the entire computing stack from systems on a chip to enterprise- and Internet-scale servers.  At our vibrant campus, conveniently located in the heart of Bellingham about 90 miles north of Seattle, and 60 miles south of Vancouver, BC we educate a diverse population of over 8,000 students in more than thirty associate degree and fifty certificate programs. Welcome to College in the Clouds! Our mission is to help you learn how use a secure Linux computer to build your own interactive website. Our goal is to revolutionize the way books are written, websites are built, online businesses are run and online courses are taught by introducing you to a new generation of free open source tools. In our free courses, books and videos, you will learn how to use several open source web building tools, including the free Linux operating system, LibreOffice for creating Books and Ebooks, Joomla for website management, Community Builder for online organizing, VirtueMart for Ecommerce and Moodle for Elearning. Open source means the source code, or software, is free and can be shared by anyone with anyone for any purpose. Open source is like a library...free and open knowledge shared with the community for the common good. No patents, no hassles, no barriers, no limits! The FreeBSD Project supports the FreeBSD operating system. FreeBSD is a free and open-source operating system designed for a variety of platforms which focuses on features, high performance, and stability. It is derived from BSD, the version of UNIX® developed at the University of California, Berkeley, and is developed and maintained by a large and welcoming community. The Free Software Foundation (FSF) is a nonprofit with a worldwide mission to promote computer users' freedom and to defend the rights of all software users. Hey! GNOME will be part of LinuxFest Northwest too. GNOME is a free and open-source desktop environment for Unix-like operating systems. It is the default desktop environment on many major Linux distributions including Fedora, Debian, Ubuntu, Red Hat Enterprise Linux, CentOS etc. Pass by our booth and get your tshirt, hoodie, socks and stickers and get into the GNOME spirit. Let us know you are around and don't forget the hashtags: #LFNW2019 #gnome." At Indie Computing, we believe we've all handed over too much of our data to some big overlords in the clouds for too long. So we ship pre-configured appliances that make it easy to run open-source alternatives at home, such as Nextcloud for file synchronization, collaboration, calendaring, contact management and more. Everybody can do it, not just hard-core geeks. Let's bring our data home! JMP offers complete software freedom for your phone number(s) by giving you texting and calling from any Internet-connected device or computer. Unlike most phone companies, we don't track you, and we don't require any personal info to signup. You can use JMP for your primary number, or as an extra number for business or 2FA. All of our software is free and open source, licensed under AGPLv3+. Kids Biz Club offers hands on project-based courses designed to inspire the next generation of small business owners. Our goal is to help students realize their dream of being a business owner. We equip students with the basic knowledge needed to start and promote a business through carefully crafted activities that combine timeless business principles with cutting edge free open source technology tools. Linux Professional Institute is the global certification standard and career support organization for open source professionals. With more than 600,000 exams delivered, it's the world's first and largest vendor-neutral Linux and open source certification body. LPI has certified professionals in over 180 countries, delivers exams in 9 languages, and has hundreds of training partners. Matomo gives you the full benefits of a Premium Web Analytics and Conversion Optimization platform ALL in one place, while taking full control with 100% data ownership. With Matomo the philosophy around data ownership is simple, you own your data, no one else. No other analytics tool lets you be in complete control of your data. Visit matomo.org for more information. SeaGL (the Seattle GNU/Linux conference) is Seattle's grassroots free/libre/open source software, hardware, and culture summit. Founded in 2013, SeaGL now features over 50 talks, four keynotes, and the Cascadia Community Builder Award. Join speakers and participants from around the world for Seattle's FREE, as in freedom and coffee, GNU/Linux conference. Founded in 2010, the Seattle PostgreSQL Users Group gets together on the first Tuesday of every month at the SCHARP offices (Statistical Center for HIV/AIDS Research & Prevention) here in Seattle. And we talk about our most favorite technology, Postgres! Nothing is too simple or too complicated. Come meet the people, from the newbie to the expert all told have a good time talking shop over a pizza. Snowdrift.coop is a fundraising platform for public goods like free software. It uses a new approach called "crowdmatching" where patrons pledge to increase their monthly donations by a tiny amount for each patron who will give with them. Software Freedom Conservancy, Inc. is a 501(c)(3) not-for-profit organization. Software Freedom Conservancy helps promote, improve, develop, and defend Free, and Open Source Software (FOSS) projects. Conservancy provides a non-profit home and infrastructure for FOSS projects. This allows FLOSS developers to focus on what they do best — writing and improving FLOSS for the general public — while Conservancy takes care of the projects' needs that do not relate directly to software development and documentation. Conservancy is involved in some of the most essential work to advance software freedom: in addition to helping projects write their essential software, Conservancy also defends and advocates for copyleft licensing, and educates the public about the moral and ethical issues about software freedom. The Mifos Initiative is a 501(c)3 non-profit and FinTech pioneer guiding the community developing the Apache Fineract platform for financial inclusion, an open source financial service engine providing a cloud-based API-driven architecture for scaling digital financial services to the world's 3 billion poor & unbanked. We aim to create a world of 3 Billion Maries where everyone has access to the financial resources needed to create a better life for themselves and their family. We guide a network of 100+ partners supporting 300 financial institutions & fintech innovators using digital banking solutions powered by our open APIs to reach more than 10 million clients. https://www.ubuntu.com/#community "The mission of Ubuntu is to bring the benefits of free software to the widest possible audience." The USENIX Association organizes vendor-neutral conferences in systems computing and fosters collaborative and respectful communities of researchers and practitioners. Membership in the association supports professionals and students alike in developing technical skills. We champion open access to technical knowledge and diversity in computing. The Call for Participation is now open for LISA19, the premier USENIX conference for operations professionals, where sysadmins, systems engineers, IT operations professionals, SRE practitioners, developers, IT managers, and academic researchers share real-world knowledge about designing, building, securing, and maintaining the critical systems of our interconnected world. LISA19 will take place on October 28–30, 2019, in Portland, OR, USA. Bring your stuff, (USABLE, NO JUNK, NO CRT MONITORS PLEASE), computers, printers, network gear, patch cables, mice and other cool electronic components to LFNW's 2019 Yard Sale Table. Jupiter Broadcasting is home to the world's best and most popular shows about Linux, free software, and even the BSDs.